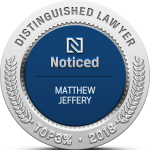 For more than 20 years, Matthew Jeffery has been getting the best results for clients in all kinds of immigration cases. As a qualified and experienced immigration lawyer Scarborough, Matthew Jeffery provides a clear and informed legal guidance on immigration matters. Matthew and his team focus on all types of immigration cases including providing assistance with family sponsorship applications, PR card renewals and appearing in the Canadian courts for immigration appeals among other cases. With Matthew Jeffery as your immigration lawyer in Scarborough, rest assured that all options will be explored and every immigration matter will be meticulously handled to give you the best possible outcome. As a Canadian citizen or permanent resident, you can sponsor a family member who is a citizen of another country to join you and live in Canada. There’s a set of minimum requirements that must be met for your sponsorship application to even be processed. Basic requirements for sponsors include: must be at least 18 years, must be a citizen or permanent resident of Canada and have adequate income to support the family member when they arrive in Canada. An immigration lawyer can help to ensure that your sponsorship application is properly presented to increase the chances of approval. Permanent resident cards are only valid for a maximum of 5 years and must be renewed for you to maintain your permanent resident status. For your PR card to be renewed, you must meet the residency requirements. You must be physically present in Canada for at least two years within the past five years. There are certain exceptions that your immigration lawyer Scarborough can educate you about to help get the best chances of having the Canadian permanent resident card renewed. The Canadian immigration system is always open to accept hard-working, skilled immigrants into the country and award them with permanent resident status allowing them to live and work in Canada for as long as they wish. The Express Entry system was designed to manage the applications of skilled workers. Processing times for the programs can be as low as 6 months. Working with an immigration lawyer can simplify the process, help you to understand your options and know which Express Entry program you qualify for. Matthew and his team can walk you through the process helping you comprehend the requirements to enroll in this program. If you are looking to gain legal entry to Canada for a specific period of time, get the help of our immigration attorney to apply for a temporary resident visa. Work permits, study permits and visitor visas are among the types of temporary resident visas that you can apply for. Each of these has specific minimum requirements which you have to understand before submitting your application. 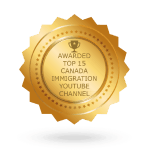 A qualified immigration lawyer can help you to understand the process and demonstrate to the immigration visa officer that your entry into Canada is justified. There are different types of citizenship matters that we can help with. If you are a permanent resident looking to apply for citizenship, you must meet the residency requirements. There are other requirements such as filling an income tax return for at least 3 years within the 5-year period, passing the knowledge of Canada test and demonstrating proficiency in English or French language. Our lawyers can help you understand the minimum requirements and enhance your chances of being granted Canadian citizenship. Have you been refused entry into Canada? Are you a refugee facing deportation? 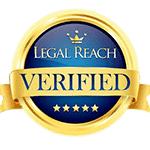 Do you believe that your application has been denied unfairly? We represent clients in Scarborough at the Federal Court of Canada in judicial reviews. 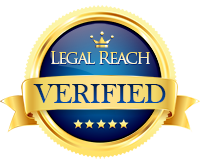 We have experience in dealing with refusals and litigation including deportations, family sponsorship appeals, and citizenship revocation cases. Have you been declared inadmissible to Canada based on criminality, medical issues or misrepresentation? We can help. The Law Office of Matthew Jeffery is fully capable of handling all immigration inadmissibility cases in Scarborough. We can advise on the different ways to overcome criminal admissibility as well as provide litigation if you want to challenge a determination of misrepresentation made by the immigration authorities. Matthew Jeffery is pleased to be offering his services as an immigration lawyer to Scarborough, Ontario. With over 625,000 residents, this former municipality now makes up roughly one fifth of the population of the city of present day Toronto, which was created from the amalgamation with Toronto, Scarborough and four other municipalities in 1998. Scarborough, Ontario is named after Scarborough, England. It got its name from Elizabeth Simcoe, the wife of the Lieutenant Governor of Upper Canada, John Graves Simcoe, who observed the beautiful white cliffs known as the “Scarborough bluffs” and thought they resembled the cliffs near her home in England. Scarborough is a multicultural hotbed in what is known as one of the most diverse cities in the world. 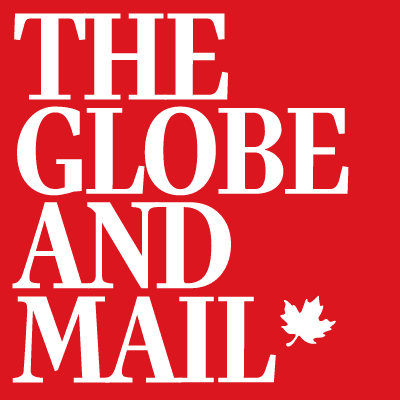 It’s affordable housing prices and accepting culture make it one of the most popular destinations for new immigrants to Canada, with nearly 60% of its residents being foreign born and nearly 70% belonging to a visible minority. However, immigration isn’t as simple as packing up your things and moving to another country. There is a complex series of laws and regulations you must follow. It can be enough of a challenge moving to a new country, taking in a new culture, and establishing a new job without trying to decipher the legal jargon of immigration law. This is where Matthew Jeffery can help. Serving as both a barrister and solicitor (meaning he can give you legal advice/counsel as well as represent you in court), Mr. Jeffery specializes in all facets of immigration law including applications for permanent residence such as skilled workers applications, family sponsorships, Canadian experience class applications, as well as humanitarian cases. Matthew Jeffery will also handle your applications for temporary residence in Canada for work permits, student visas, and visitor visas. He can also help you to renew your permanent residence card or apply for citizenship. Matthew Jeffery is a highly experienced lawyer who is certified by the Law Society of Upper Canada as a Specialist in Immigration Law and authorized by the government of Canada to both counsel and represent clients on all immigration legal matters. With over fifteen years’ experience and countless success stories, Matthew Jeffery will help you to navigate the immigration system to get the results you need. To discuss immigration matters, call us at 1-866-886-8014 to arrange a consultation at the cost of $150 per half hour. Alternatively, if you’re looking to immigrate to Canada and are unsure if you will qualify, visit our website and fill out our free assessment form under the family sponsorship, skilled worker, or business class category and we will assess whether or not you are eligible to receive permanent residence. With something as important as immigration matters, don’t trust your own judgement and ability to decipher legal jargon. Contact Matthew Jeffery today for his expert legal services.